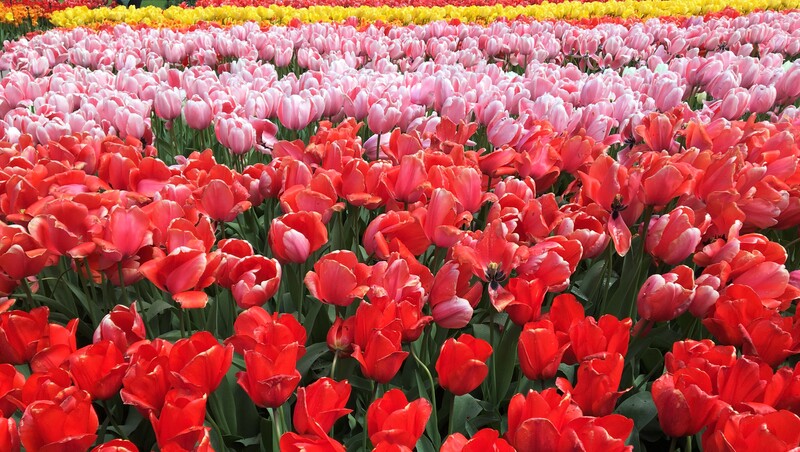 When you come to the Netherlands during the Spring there are two must do activities everyone must do. 1) Kings Day. This is a national holiday on April 27 to celebrate the kings birthday. Everyone is out at festivals wearing orange and celebrating Dutch culture. This something you don’t want to miss. 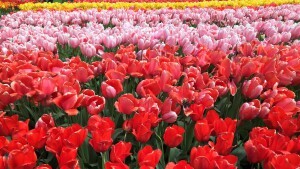 2) Keukenhof. 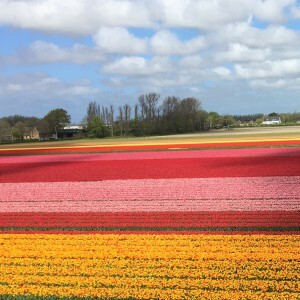 When people think of the Netherlands most people think of tulip fields. 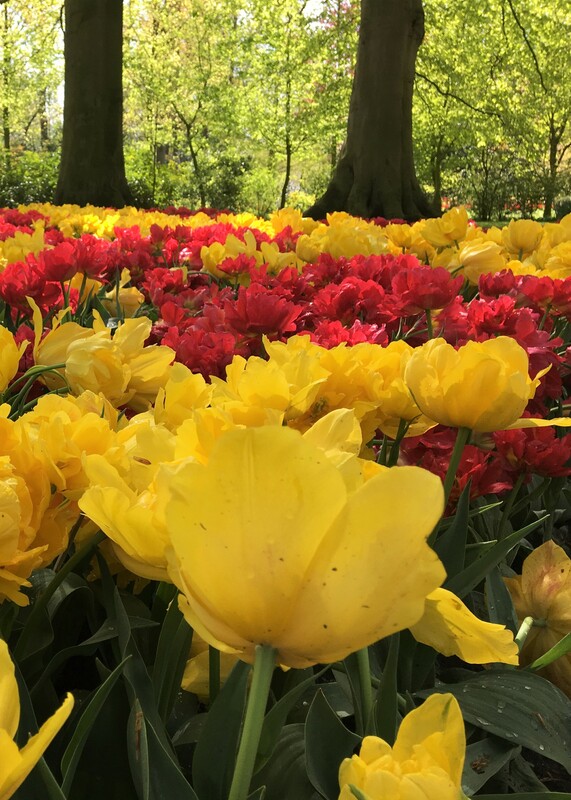 Well Keukenhof is the ultimate spring garden experience. You can spend all day here and never want to leave. I suggest to bring a picnic and find a nice sunny spot and enjoy the flowers and nature around you. It truly is one of the most beautiful and peaceful places I have seen. If you are in the Netherlands or anywhere in Europe for that matter, make sure to visit. You will not regret it. I have been in the Netherlands for about a month an a half now. I decided my first post should be information I wish I knew about the Netherlands before I came, but didn’t. 1) OV-Chipkaart: When you arrive in the Amsterdam airport, the first thing you should do is go to the information counter (on your left once you leave customs) and purchase the OV-Chipkaart. It costs 7.50 euros, but makes public transportation half the price it normally would be. Load 50 euros onto it is my recommendation. On Busses and trams you scan your card on sensors inside the doors when you get in and when you leave. Trains require you to scan your card at yellow poles before and after you go to the trains. You need at least 20 euros on the card to use the trains. 2) Ulmon City Maps: This is an app that allows you to download the map of almost any city and star places of interest or importance. The best part is it tracks where you are even offline. 3) Size of the Netherlands: The Netherlands is about 1/3 of the size of Kentucky. Take advantage of this. 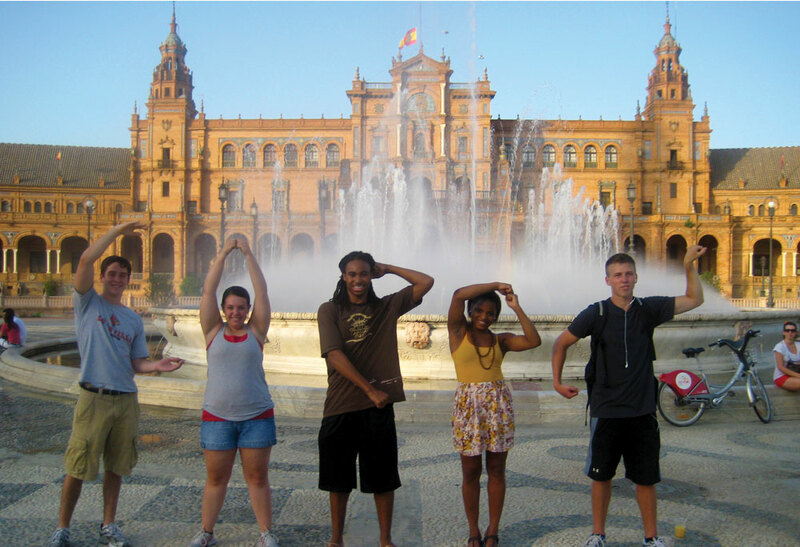 Make some friends and take day trips to different cities. So far I have been to Delft, Haarlam, Amsterdam, Rotterdam, and Den Haag (Obviously). 4) Places to go out: Miller’s, Havana, Fiddler’s, and Grotemarkt are all nice bars/clubs. 5) Classes: Most classes only meet once a week. They can also change rooms every week and sometimes the time of the class. Check the schedule every morning. Most classes only have a final exam. 6) Groceries: There is two main grocery stores. Jumbo (megastore on the school side of Station HS) is the most reasonable and has the best selection personally. Albert Heijns (is across from Station HS) and while it is more expensive, it is convenient if you live in the Student Hotel. No matter what store you go to, you have to buy a reusable bag. 7) Bike: While you can get by without a bike, it is easier to get one. You have to have white lights on the front and red lights on the back as well as a bell. You can rent a bicycle from a company called Be-Cycle-It or buy your own. 8) Router: Most places will provide internet, but if you want wifi (and you will) you need to purchase a router. You can get one from the Megastore or city center. 9) PayPal: In order to load money on your washing card or school card, you will need an account. Credit cards won’t work for these. 10) Money: I should have put this first, but bring at least 500 euros over with you. Also if you can pay with a credit card at meals (one with a 0% conversion fee) and have the rest of the table pay you with cash. It will save you ATM fees.